What's the lifecycle of the flu? When flu season starts, every sneeze or cough could be the sign of a fast-developing illness in the next few days. In fact, many people think they can feel the exact moment at which they become sick. Maybe it’s a scratching of the throat or the dull throb of a headache, but when the flu strikes, it’s almost impossible to miss. However, the fact of the matter is that by the time you start sneezing, coughing and feeling every other symptom of the flu, the virus has already been working against your body for some time. From that point, you could be in for a rough week or two as your immune system tries to combat the virus. All of this doesn’t apply if you went and got your flu vaccine from your nearest CareWell urgent care center. If not, you’ll want to brush up on the cycle of the flu. Part of the reason your doctor probably recommends getting a flu shot is because it’s nearly impossible to prevent coming into contact with the virus during flu season. 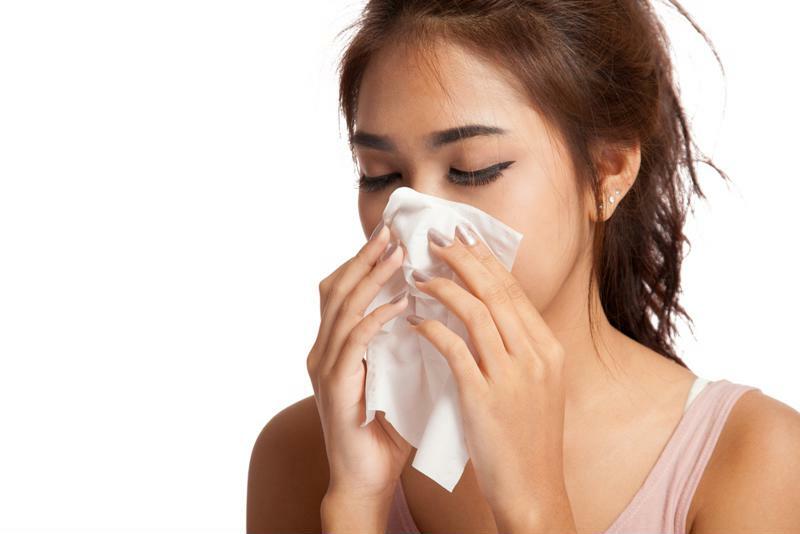 If a family member is sneezing incessantly around the house, there are plenty of airborne infectious agents in your home. If a co-worker is coughing into his or her hands, touching the same doorknob or keyboard and then transferring the virus to your face is all it takes to get infected. In fact, for the first day or two after the virus makes its way into your body, you won’t even know it’s happened. At this stage, the flu virus is entering and multiplying in only a few cells throughout your respiratory tract, so even though you’re technically infected, you still feel fine. At this point, the flu virus has proliferated enough for your immune system to notice. As new copies of the virus damage old cells and move on to infect new ones, your body will start reacting to the incursions. However, that’s not good news as far as your symptoms go. Because your body transitions your immune system into high-alert status, you should expect to start feeling some classic symptoms a few days after exposure. Traditional signs include fever, fatigue, sneezing, body chills and aches. This is the meat of any flu-related illness, and once you feel the first sneeze or chill coming on, rest assured that you’ll have at least a handful of similar days in the future. Once the first sneeze comes, it’s already too late. While the onset of the flu is more or less uniform, how quickly your body is able to combat the virus depends on so many other factors that the exact duration can vary depending on the individual. If you’re in otherwise good physical health and make sure to rest and drink liquids while you’re under the weather, you’ll be right as rain as soon as possible. If you try to push yourself by going to work, you might be sicker for longer. Rather than all the guess work, a few minutes at CareWell’s urgent care centers and a vaccine are all you need to protect yourself this flu season.